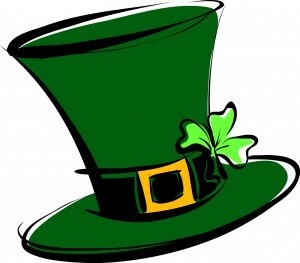 Have some mid-March family fun and celebrate St. Patrick’s Day on March 17th! You don’t have to be Irish to take part in the excitement of this special day honoring the patron saint of Ireland. This list of St Patrick’s Day crafts and creative activities for kids includes a rainbow of great ideas for commemorating the holiday. Your little leprechauns will love them! Paper Plate 4-Leaf Clover – Green paper, a paper plate, paint, glue, and glitter are all you need to make a festive 4-leaf clover. Hang this symbol of good luck on any door or wall. Free Coloring Pages – From shamrocks to rainbows, Crayola has lots of St. Patrick’s Day coloring pages you can print out for your children to color and decorate. Pot O’ Gold Math Craft – A construction paper pot of gold and some pennies add up to a fun learning experience with this simple craft. Patrick’s Day Popsicle Stick Puzzle – It’s so easy to create your own mini St. Patrick’s Day puzzle! Tape some popsicle sticks together, draw, color and decorate a leprechaun hat on the back, then remove the tape. Mix up the sticks and enjoy putting the picture back together! Rainbow Paper Chain – What’s at the end of a rainbow-colored paper chain? A glitter-trimmed shamrock and a pot of gold of course! This craft is perfect for hanging on a doorknob. Sparkly Lime Jello Play Dough – Add some sparkle to your St. Patrick’s Day fun and make your own glittery green play dough. With just a few simple ingredients you probably already have in your kitchen, plus Lime Jello, green food coloring, and lots of glitter, you can create the perfect play dough for shaping into shamrocks, leprechaun hats, or anything else. Green Scavenger Hunt – What green items can your children find or identify? This scavenger hunt is a great activity that will keep kids busy for hours. Bottle Stamp Shamrocks – Decorate St. Patrick’s Day posters or cards with bottle stamp shamrocks. A water bottle, green paint, and a surface to stamp on is all you need. You can also make 4-leaf clover stamps with green peppers! DIY Leprechaun Hat – Cute leprechaun hats are easy to make with this free printable template. Create hats for the whole family and have a St. Patrick’s Day tea party or a leprechaun breakfast complete with green pancakes! Patrick’s Day Word Search – Challenge your children to find words related to St. Patrick’s Day. This website has free printable templates. These easy family crafts and activities are fun ways to celebrate St. Patrick’s Day and teach your children a little about Irish culture. Enjoy some special family time together and bring a bit of Ireland to your home this March 17th!